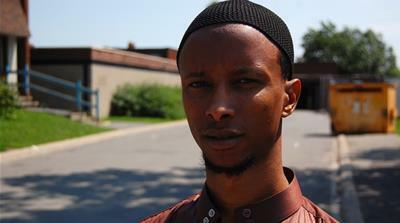 Ottawa, Canada – Binto Mohamed hasn’t had a good night’s sleep since May. That’s when she received a letter telling her that her family of 10 had 120 days to find a new home. “There’s a piece of me missing, because of the stress,” she says, standing in the middle of her dimly-lit kitchen, the air thick and sticky in the overpowering August heat. Mohamed, a mother of eight, knows her house is far from perfect. 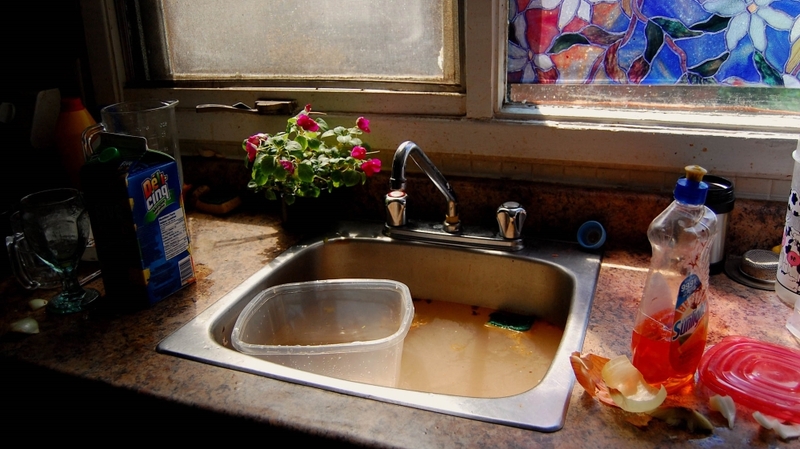 The kitchen sink is about half full of dirty, brownish water; the drain hasn’t worked for the past year, and despite putting in a request to have it repaired five months ago, it’s still blocked. Without a working sink, dirty pots and pans sit unwashed on the stovetop, which itself is covered in a crusted splatter of sauces. The bathroom light fixture has been broken for months, while the outer glass of a double-paned window is missing off the first-floor room Mohamed’s disabled 18-year-old daughter sleeps in, in a hospital bed. In the winter, cold air seeps in, making the teenager ill. But this home is all Mohamed has ever known since she moved to Canada with her family from their native Somalia in 2014. 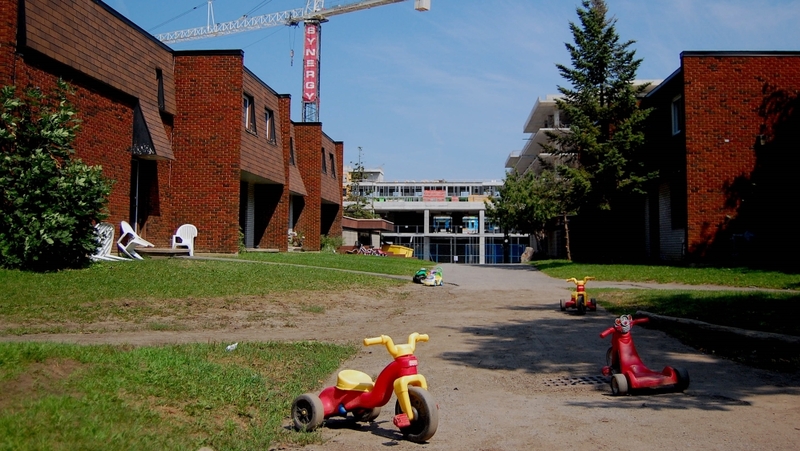 They are now one of more than 100 families facing eviction in Heron Gate, a neighbourhood in the south end of Ottawa, in what a local tenants’ rights group says is the “largest forced displacement in Canada” in recent history. Several families have found new homes, but despite seeing other places and scouring the listings every day, Mohamed hasn’t found anything affordable that can accommodate her large family and its needs. “I came to Canada thinking it was an escape, only to realise it’s like torture,” she says in Somali through a translator. “People are playing with our lives,” adds her husband, Jamale Ibrahim. Heron Gate is one of Ottawa’s most diverse communities, home to a large number of residents of Somali and Arab backgrounds. It comprises a mix of townhouses, medium-sized buildings and tall apartment towers. In late May, the landlord – Timbercreek Communities, a large real estate company that bought up large swaths of the community – announced plans to demolish about 150 units here. 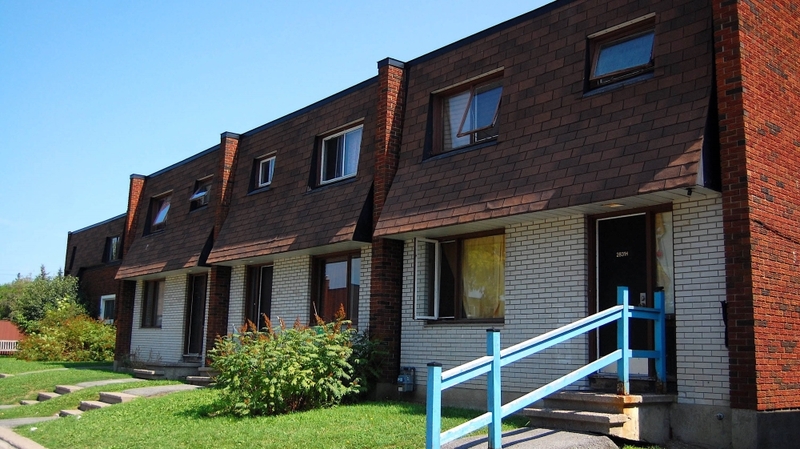 The company, which operates in 27 cities across Canada, said the townhouses are no longer viable and it gave tenants 120 days – until September 30 – to find alternative housing. That’s the required notice period under the law in the province of Ontario, as Timbercreek moves ahead with a mass development project for the neighbourhood. In an email to Al Jazeera on August 10, Timbercreek said 70 percent of the affected tenants in Heron Gate have found new places to live. The company is offering displaced tenants three months’ rent, as well as an additional $1,530 ($2,000 Canadian) compensation, up from an original offer of $1,150 ($1,500 Canadian), to move. It is also negotiating reduced rates with moving companies, and employing a relocation team to help tenants find other properties, the company said. “Timbercreek is going beyond the requirements of the law in providing relocation assistance,” its statement read. However, several families who remain in Heron Gate say they’re struggling to find alternative housing that meets their needs and doesn’t exceed their budgets. Mumina Egal, a member of the Heron Gate Tenant Coalition, which advocates on behalf of the residents facing eviction, said families of eight or nine people are being told to look at two-bedroom apartments, much smaller than what they need. One resident of Heron Gate who spoke to Al Jazeera said she paid about $1,000 ($1,305 Canadian) for a three-bedroom townhouse. She said she visited similarly sized apartments after getting her eviction notice, but the rents are in the $1,380 ($1,800 Canadian) to $1,530 ($2,000 Canadian) range, plus utilities. A recent article in the Ottawa Citizen bore the headline, “Rising rents and cutthroat competition”. The newspaper reported that “Ottawa’s residential rental market has recently become red-hot, with demand and prices ballooning and vacancies increasingly scarce”. Last year, the city had a 1.7 percent rental vacancy rate, according to the Canada Mortgage and Housing Corporation, and the average rent for a two-bedroom townhouse was $925 ($1,209 Canadian), the Citizen reported. In Heron Gate, the tenant coalition has also criticised Timbercreek for failing to keep the units in good condition. For years, tenants have complained of bug infestations, water damage to their ceilings, inadequate rubbish pick-up, and broken windows and floorboards, as well as general lack of upkeep and maintenance services from the company. Asked to comment on the complaints, the company said it “continues to maintain Heron Gate units and quickly respond to repair requests”. But a resident, Amina, who didn’t give Al Jazeera her last name out of fear of reprisals, keeps her food in closed rubbish bags because her kitchen is overrun by cockroaches. A handful of bugs scurry into the cracks of the cupboards, as she opens them, one by one, to illustrate the problem. She has more than half a dozen sticky anti-cockroach traps around the room, in the corners and in a space between the fridge and a cabinet; each was full of insects. “What we’re living right now is not a life,” the mother of four says. Abdullahi Ali has been through this type of thing before. The 64-year-old was forced to relocate from a home in another section of Heron Gate in 2015 after Timbercreek slated it for demolition. At that time, dozens of families were displaced when about 80 townhouses were razed. Today, a crane and a construction site stand in their place, soon to be transformed into “three, six-storey multi-residential buildings”. Now, the four-bedroom townhouse Ali moved into after that first eviction is also set to be demolished, and his household of nine people – Ali, his wife, six children, and a granddaughter – has been forced to look for a new home once again. He currently pays $1,225 ($1,600 Canadian) in monthly rent, plus utilities. “They didn’t tell us they intended to demolish [this home, too],” Ali tells Al Jazeera, just outside his front door, the construction site where his previous home stood towering over his right shoulder in the distance. If they had, Ali says he wouldn’t have stayed in Heron Gate. “It’s Canada, it’s a highly respected nation for human rights. This is worrying … This is something we never expected to happen in Canada,” he says. Evicting the residents of Heron Gate does more than strip them of the roofs over their heads, he adds. For many, especially new immigrants who don’t speak English and lack a local support network, the community is a lifeline. “We support each other. This is our culture, and this is how our community works,” Ali says. It’s Canada, it’s a highly respected nation for human rights. This is worrying … This is something we never expected to happen in Canada. 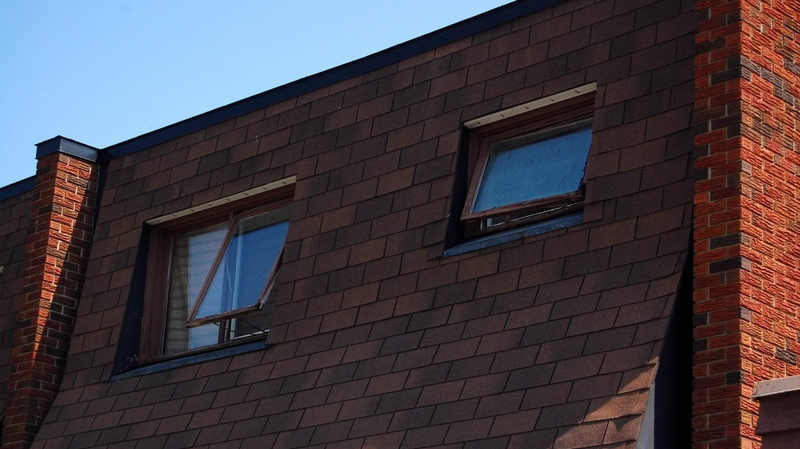 After the demolition notices were issued in May, the Heron Gate Tenant Coalition went door-to-door, collecting data from the households affected. Eighty-nine percent of the nearly 600 residents facing eviction are people of colour, the group found, while 44 and 24 percent are of Somali or Arab background, respectively. “A lot of them are dependent upon the community via translation work, for moral support, for babysitting while they go out to find jobs or go to English class,” says Egal, who grew up near the neighbourhood. “Taking them away from this neighbourhood and moving them to the east end or moving them to the west end – where they don’t have those community ties for the day-to-day necessities of life – is extremely debilitating,” she tells Al Jazeera. Liban Mohamed is one such person. The 29-year-old moved to Heron Gate in 2015, five years after he first landed in Edmonton, in Western Canada, from his native Somalia. Currently studying for his high school equivalency certificate, he pays $380 ($500 Canadian) a month to rent a house with two roommates. Theirs is one of the homes subject to demolition. He hasn’t found another place yet, and Mohamed says he can’t imagine living anywhere else. If the residents that remain in Heron Gate refuse to move by September 30, Timbercreek can go to Ontario’s Landlord and Tenant Board to apply for a formal eviction order. It must then apply to the city for permits to demolish the units. The company says it will “design a community that fits the needs of the people in the community”, but it doesn’t have a plan in place yet for the type of units that will replace the townhouses. Because landlord and tenant issues fall under provincial laws in Ontario, the City of Ottawa says it can’t intervene in the eviction process. The city only gets involved once a landlord applies for a demolition permit or files a development proposal. A spokesperson for Mayor Jim Watson said his focus has been “to encourage Timbercreek to increase compensation to affected households, and to provide families with more time to look for a new home”. “Mayor Watson sought, and received reassurance from Timbercreek representatives, that the company is focused first and foremost on helping families relocate and not on the eviction process,” Livia Belcea told Al Jazeera in an email. However, the need for affordable housing far exceeds availability in Ottawa. About 10,500 families are currently on a subsidised housing waiting list, which gives them access to “rent-geared-to-income assistance and associated housing benefits”, said Shelley VanBuskirk, director of the city’s housing department. Wait times are four years or more, on average, she said in an email. Additionally, low vacancy rates, coupled with high demand in the private rental sector and higher rental costs, “are placing additional demands on the wait list for social housing and for affordable housing options”, VanBuskirk said. Back in Heron Gate, residents have asked Timbercreek for more time – as much as a year’s leeway – to find other places to go. 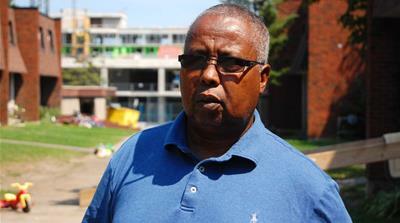 The residents who remain are in a “desperate situation”, says Abdullahi Ali. They called on the city to do more to support the people facing eviction. Daniel Tucker-Simmons, a lawyer representing some of the residents, said a request for accommodation was sent to Timbercreek’s lawyer and to Mayor Watson. These mass evictions are having a differential, a discriminatory, impact on my clients because of their race, because of their ethnicity, because of their religion. They’re asking that if parts of the neighbourhood need to be demolished, that the current tenants receive more relocation assistance, and be guaranteed a right to return to units with similar rents once the redevelopment is finished. It also asks that units be preserved if they can be. The request is currently being considered, Tucker-Simmons said. If he doesn’t receive a response, he said the complaint could be sent to the Ontario Human Rights Tribunal, which adjudicates on alleged human rights code violations. “These mass evictions are having a differential, a discriminatory, impact on my clients because of their race, because of their ethnicity, because of their religion,” he said. While they wait to see what happens next, a sense of anxiety runs through every home and every family, says Ali’s wife, Saido.